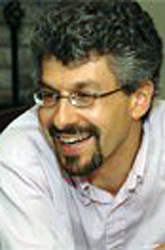 Jonathan Marks spent 2009–2011 in residence at the Edmond J. Safra Center for Ethics at Harvard, and prior to joining Penn State, was a Greenwall Fellow in Bioethics at Georgetown and Johns Hopkins Universities. Marks is also a barrister and academic member of Matrix Chambers, London. While in full time legal practice, he was involved in a number of landmark cases including thePinochet case and the Olivieri case—the latter arising from a dispute between a physician-researcher and the drug company sponsor of her clinical trials.